Keeping up to date with the latest colour and cutting styles is a high priority here in the salon. All the team follow trends coming from high fashion (London & New York Fashion Week) through to Instagram and You Tube along with the constant inspiration from Schwarzkopf and Kevin Murphy. We have regular in house training alongside external courses to inspire and push the teams creative buttons. You only have to look at our own Instagram account to see the quality of the work we're pushing out! The key to all good styles is a great haircut. A style that suits both your look and your lifestyle. Achieving a great haircut isn't easy! It takes a stylist years to gain the experience from working with different hair types and textures, whilst learning to understanding a broad spectrum of needs from our clients. 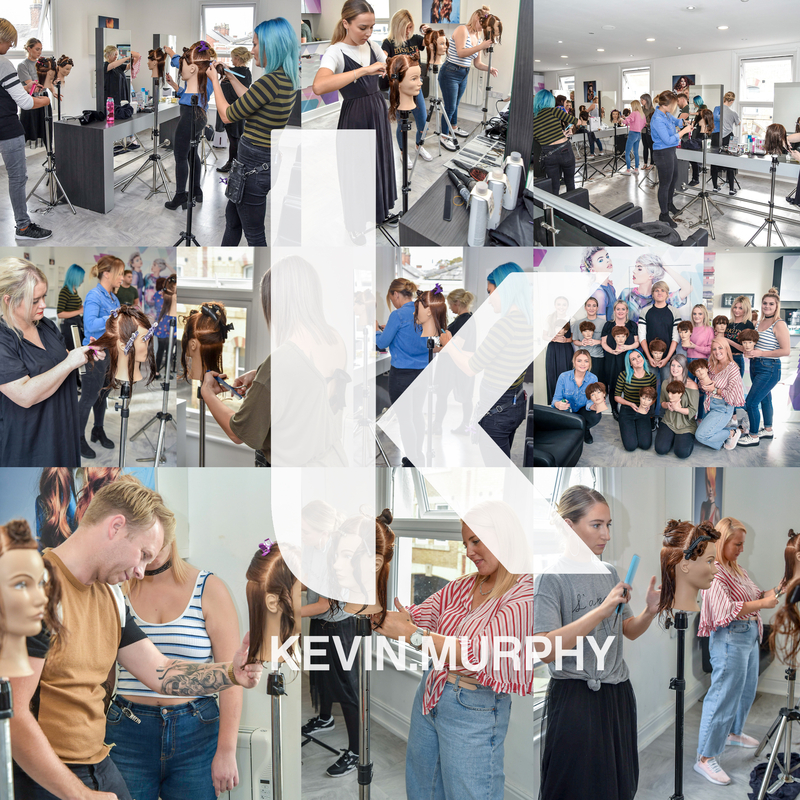 We asked Kevin Murphy to send in one of their best educators to train the team in a variety of solid styles and approaches that can be used to refine their existing skill sets. Lee is one of KM's main educators and was a perfect fit for our requirements. Lee started the session with a short overview of what was to be expected from the day, discussing terminology (every company uses different terms to describe cutting angles, etc) and an overview of the four looks we'd be recreating. The session quickly moved straight into practical with everyone setting up their dolls heads ready for the first cut. Lee went on to demonstrate the initial sectioning pattern which he wanted everyone to recreate. He then moved on stage by stage, demonstrating first then everyone duplicating. It's great way to learn fundamental skills as you have to get each stage perfect before you can move onto the next. A stylist running a busy column rarely gets the opportunity to slow everything down and focus on getting technique perfection, from the angle the hair is elevated to the angle its cut at with perfect standing position. Focusing on every aspect of a cut is the key to becoming an awesome hairdresser. Lee moved the session systematically forward, once the first long style was complete, the second style, a classic bob cut with minimum tension, then a new approach to graduation and finally a solid approach to any short style. All the looks were created using strong technique and discipline and the results were fantastic! The great thing about the session was that everyone could get involved, no matter what level. The apprentices learned some great new techniques whilst the senior stylists got chance to really focus on refining their cutting techniques. A great success all round and everyone had a great day.